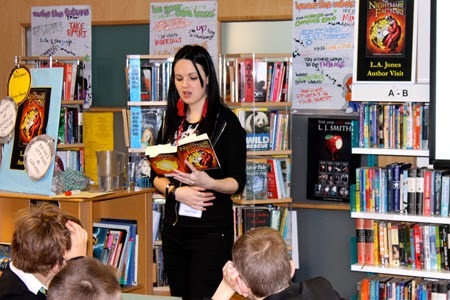 Whenever I'm lucky enough to be invited to schools to give talks or run creative writing workshops, I always enjoy the visits, and get a fantastic boost from them. But it can sometimes be difficult for a lone author to gauge the usefulness or value of what they do on a school visit - after all, you rarely get the chance to hear what the children really thought of you. Are they just being polite when they say it was great? Are the teachers rolling their eyes behind your back? When they tell you about the last author visit they had, and how inspired the children were, are they drawing unfavourable comparisons? Are you really doing it right? So when I got the chance to volunteer as a steward at the Appledore Festival Schools Programme, near where I live, I jumped at it. I could get to sit at the back, and watch another author do their stuff! I could learn how it looks from the other side of the room, see some examples of what works, check out what other people do. I'm so glad I did. Because what I discovered is that author visits are magical, wonderful and amazing, and there are probably almost as many ways of being magical, wonderful and amazing as there are authors. Both the authors I shepherded around north Devon were fantastic, and they connected brilliantly with their audiences - but they both did it in almost opposite ways. John Dougherty is an old hand - he does a lot of author visits, and he's written a lot of books. 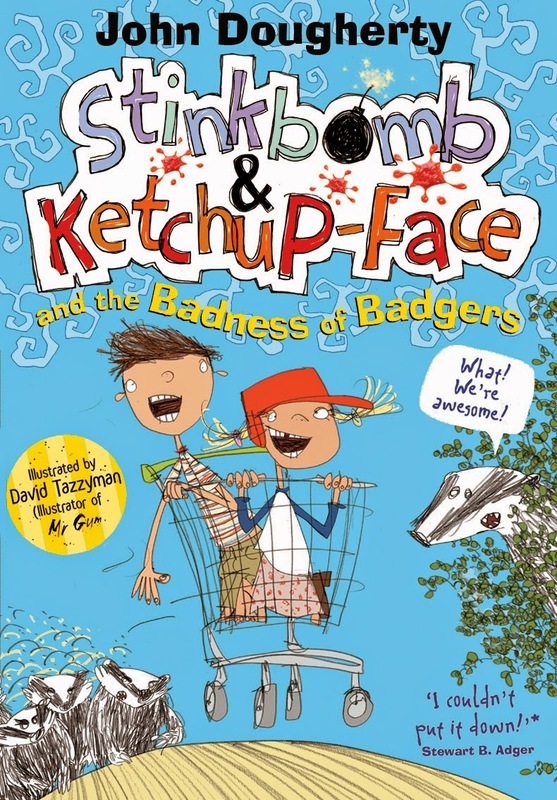 His latest series - about brother and sister Stinkbomb and Ketchup Face and their adventures foiling the dastardly plans of a group of no-good scheming badgers - is pure silliness in the best tradition of Roald Dahl and Mr Gum. Lucy Jones is much nearer the beginning of her writing career - she's published two books, and she's currently working on a new one. She doesn't play the guitar, or sing, and she didn't have the children rolling on the floor. But she did have them equally spell-bound. She talked to them about how to write, how to build up ideas and believable characters, and she gave them a challenge - to come up with their own character, based on a picture. The twist was, that the character they were inventing was dead - they had to decide how he had died, and what sort of ghost teacher he would make, in the ghost school where her new story was set. What struck me, sitting at the back, was just how excited the children were by the presence of an actual author - someone who'd written a real book! And how intrigued they were to hear just simple things, like how books are made, how the covers are designed, how long it takes an author to write a book, where do authors get their ideas from?! It was immediately obvious, as one of the audience, how valuable it was for children to be told, by someone who really writes books - you can do this too! In fact, you do it - every day! We get our work corrected by editors just like you get your stories marked by your teacher. It's more words, it takes longer, but it's not different in kind from what you do. And although very few of those children are going to grow up to be published authors, it gives them a new sense of the value of what they can do, what they are capable of, what they could aim for if they decided to. It reinforced the value and importance of stories and creativity of all sorts, whether it's their writing or their made-up playground games or their engagement with stories in books, magazines, TV, or computer games or films. Traipsing round with my two authors, and watching the magic being kindled again and again in their sessions, I realised that I needn't have worried about my own sessions. Children's authors write for children, so they have a pretty good idea of what engages their interest, and how to talk to them. They are creative, clever people, with inventive minds and a way with words. When they tell a child, "That's a fabulous idea!" or "You see? You're an author too!" they give that child a warm glow that you can see from fifty yards away - a gift that will stay with that child for the rest of their life. 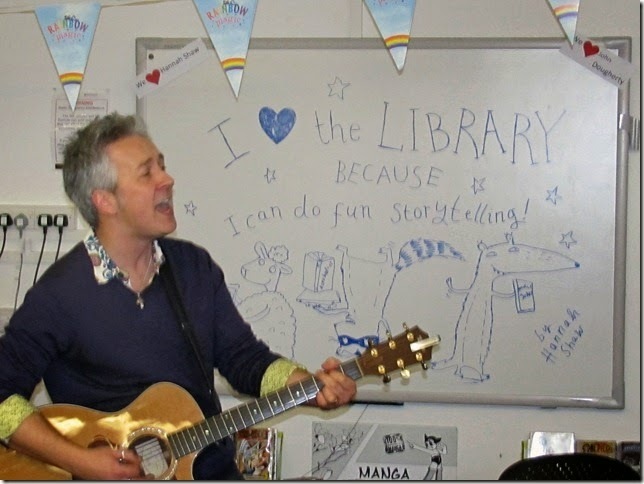 So if you're an author, and you do school visits - take a bow, you are making a difference! However unsure you may feel abut your sessions, you are touching the children you talk to in ways you probably don't realise. And if you're a teacher or parent or librarian - beg, borrow or steal the money from the school budget (or PTA jumble sale?) for a local author to visit your children. Or even better, have a look to see if there's someone available to be your Patron of Reading. That one visit will kindle a magic that will inspire those children for the whole school year and beyond. C.J. Busby writes fantasy for ages 7-12. Her most recent book is Dragon Amber, published by Templar. 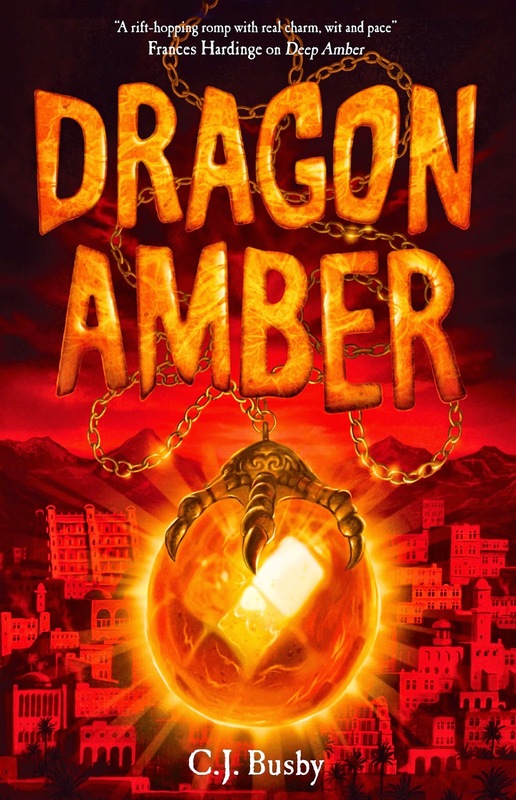 The first book in the series, Deep Amber, was published in March 2012. 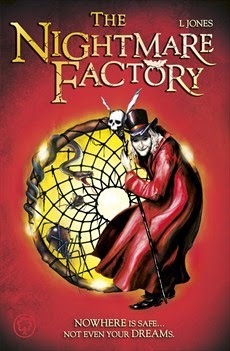 "A rift-hopping romp with great charm, wit and pace" Frances Hardinge. Kids' reactions to meeting a Real Live Author! always remind me of Twoflower's reaction when he meets Cohen the Barbarian in Terry Pratchett's book 'The Light Fantastic'. Brilliant Cecelia. Just what any author needs when you start thinking... oh no not another author visit! What a pleasure to read this and to feel your reflected view from the audience. It's sometimes so hard to gauge whether you are being engaging... esp when you are doing a series of visits and feel just slightly jaded and worn.